So, back in 2010, I had a one-year-old, I was working and trying to balance being a mom. 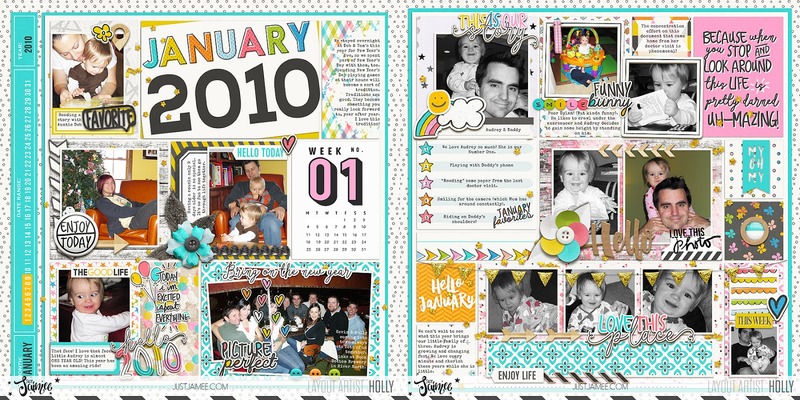 I did not get one page scrapbooked from that year, but I did take lots of cute photos. 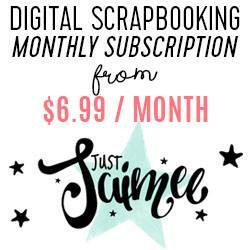 This year I am new to the Just Jaimee Creative Team, but I'm not new to her amazing design work. If you don't know StoryTeller, you need to check it out. 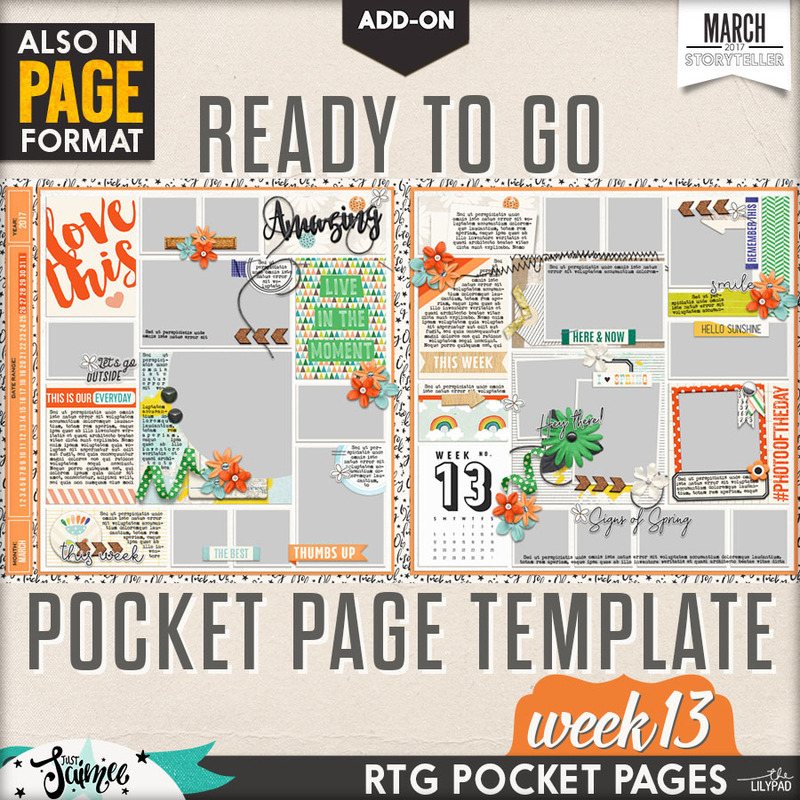 Another great thing that she creates are Ready-To-Go Pages, and they are exactly what you think they are. They come out every week, in time for you to keep up with your Project Life style pages and they are glorious. They are editable, too. By that, I mean you can move things around, or delete pieces that don't quite fit with your photos. Or, leave it exactly as it is and be done super quick. 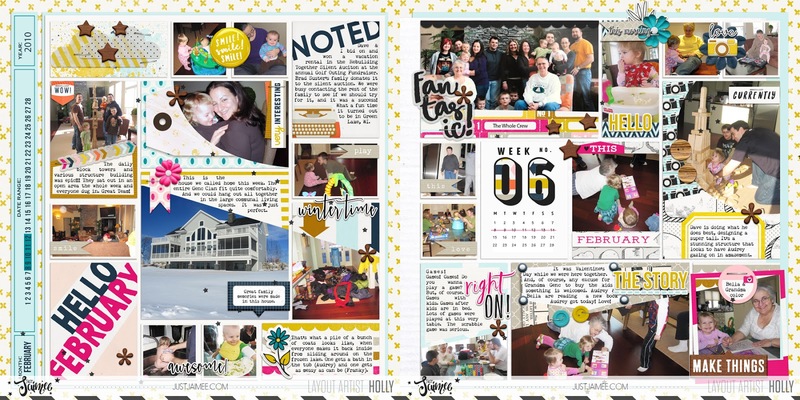 So, you guessed it, I decided to use the Ready-To-Go 2017 design to go back to my archives and document our lives at my daughter's second year. I found that the first layout required the most photoshop work to change the title year to 2010 and a few other spots where the year needed changing. If you subscribe to Storyteller, you will get all the pieces you need to make adjustments with alphas and elements. The large black 2010 was just recreated with a similar font. Here is week 6, when we went on a family trip to a vacation rental home that fit our gigantic family. It feels so great to be documenting 2010! And this is incredible! Right now there is a retirement sale going on at The LilyPad, which ends on March 26, just a few days away. 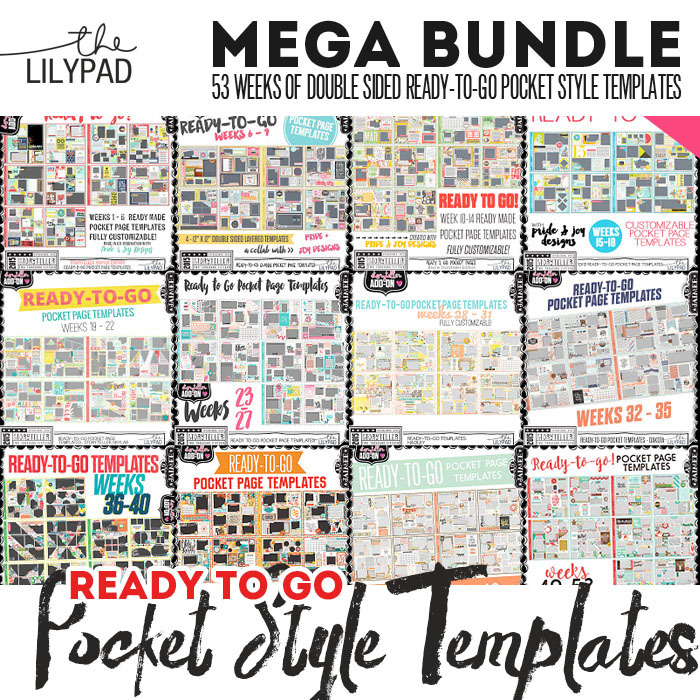 You can get the entire Ready-To-Go Weekly Templates from 2015 for a great deal. Don't let the year 2015 hold you back. I changed 2017 templates very easily to go with 2010. Even the weekly cards! Stay tuned for another blog post with a lot more detail on that.